The Hayloft (on the right of the picture of the barns above) was originally built as a stable block with hayloft above, and has now been beautifully transformed into a wonderful 3 bedroomed cottage, finished to an exceptionally high standard, with open plan kitchen/ dining and living area, retaining many original features, and set in an inviting courtyard. The kitchen area is fully equipped and has an electric oven/grill and hob, dishwasher, microwave and under counter fridge/freezer. The comfortable seating area has a wall mounted Freeview TV and DVD player. There is a separate laundry room in the courtyard. 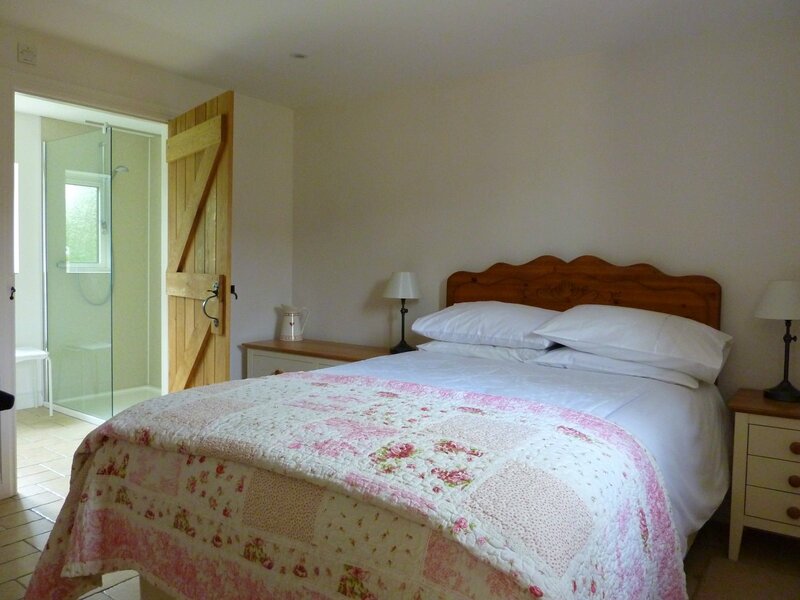 Downstairs is a double bedroom with an en-suite containing a large walk in shower. 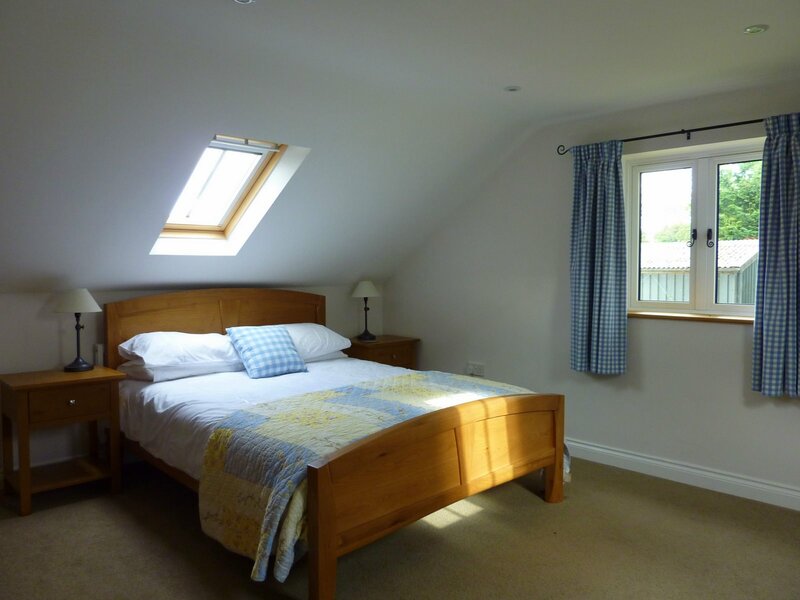 Upstairs are 2 further bedrooms, one with a king size bed and a single bed and the other with twin beds. There is also a further bathroom. A cot and highchair are available on request. There is under-floor heating throughout the ground floor and radiators upstairs. The heating and the electricity are included in the rates along with all the linen and towels. Outside there is garden furniture to enjoy in the warmer days, in the lovely courtyard. 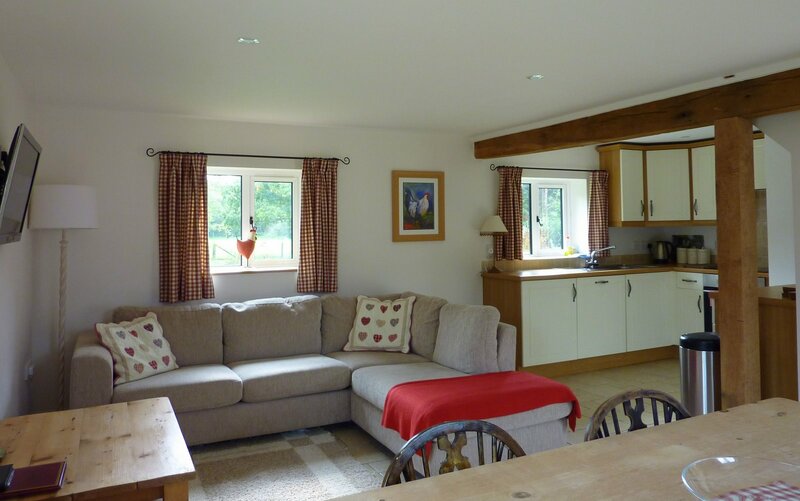 You are welcome otherwise to explore the farm or make use of the fishing lakes or indoor swimming pool. 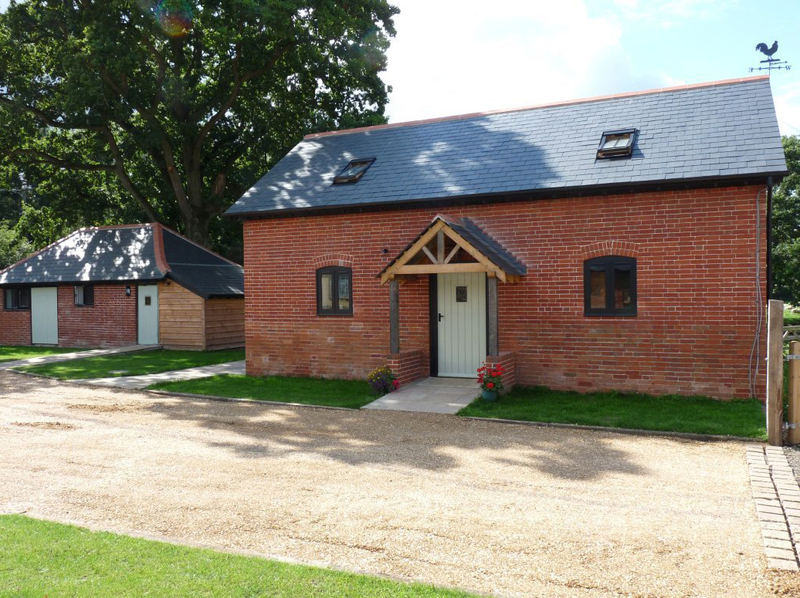 Bookings for the Hayloft are for full weeks, commencing on a Saturday. Occupation is from 15:00 Saturday until 10:00 the following Saturday.